Yes, I went to Quilt Con and after having had a few days back at home, I think it is about time to gather my thoughts and write about my experience. I took lots and lots of photos of the excellent quilts on exhibition but haven't noted down most of the owners and at the moment am not sure if I can show these here without proper credit (let me think about it a while) but I thought it might be useful to people to read my account of the conference. Please all bear in mind that this ONLY reflects my personal opinion and nobody else's and other opinions are obviously available. 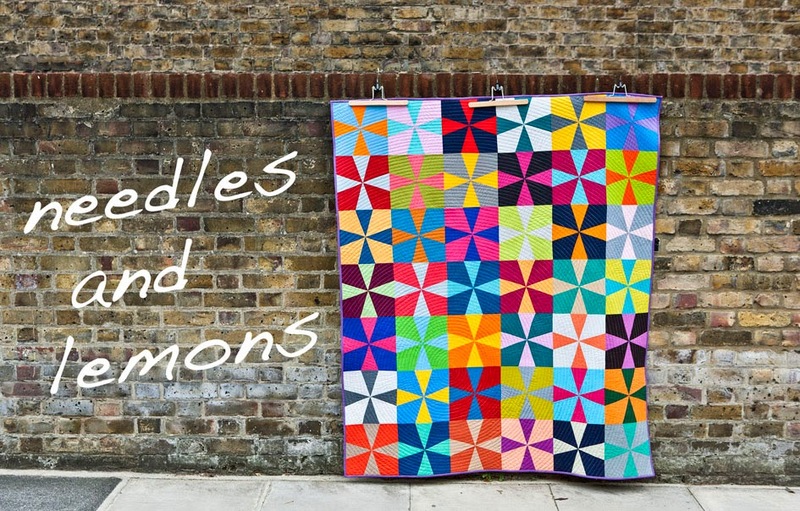 The reason why I wanted to go was primarily the attraction of the Gee's Bend quilts on show and the Gee's Bend Ladies giving the key note speech and workshops. I managed to get into one of the workshops and had a ticket for the key note speech. So from that perspective I already had a win before I got on the plance but I also wanted to meet a few people and spend as much time as possible with all the quilt on exhibition while at the same time trying not to get sensual overload. On the overload goal I tried my best to space out the visits to the exhibition hall but still felt totally overloaded in the end by the wealth of amazing quilts on show. 3rd Place in Modern Traditional Category by Anna Boenish and my personal favourite of the entire show. But let me tell you about my schedule. I had booked several lectures in addition to the one workshop and also went to many more lectures spontaneously as they were only US 15 and could be booked right there and then with cash on the door which I thought was pretty cool and practical. All lectures were 45 min long which is an ideal time to keep people's attention and left enough time for a quick washroom visit and to go to the next lecture. The lectures were alternating between two lecture rooms which made the whole process very easy. found Sherri a very engaging lecturer and teacher and it was a pleasure to listen to her. 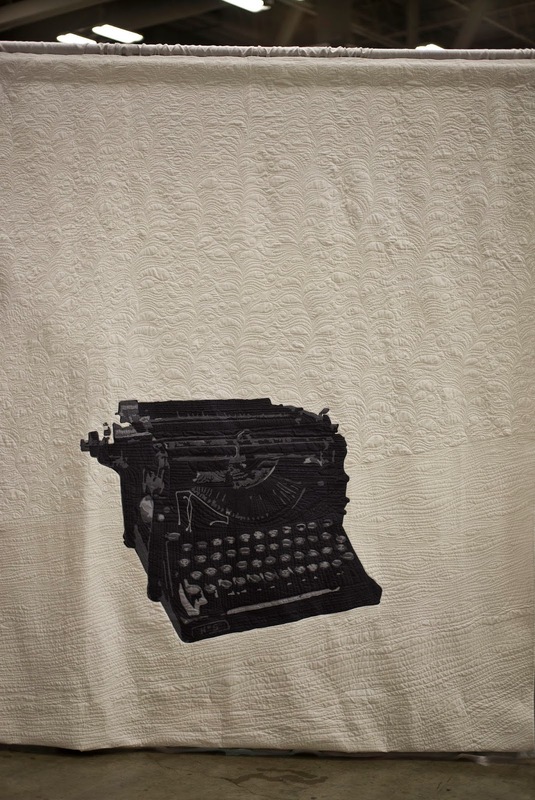 Jacquie is the chairwoman of the Modern Quilt Guild and has been a teacher for a long time. 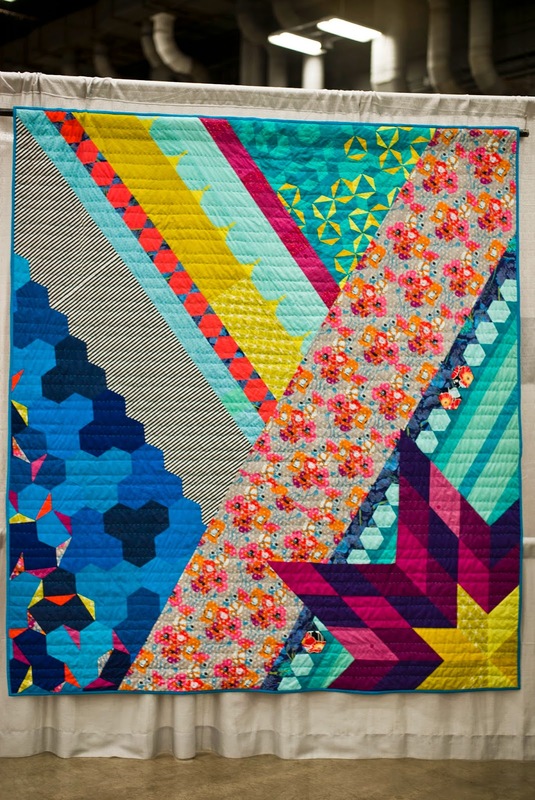 The next part of my personal Quiltcon report will include Alissa Height Carlton's lecture on negative space, the panel discussion on 'Maker to making a living' and much more. 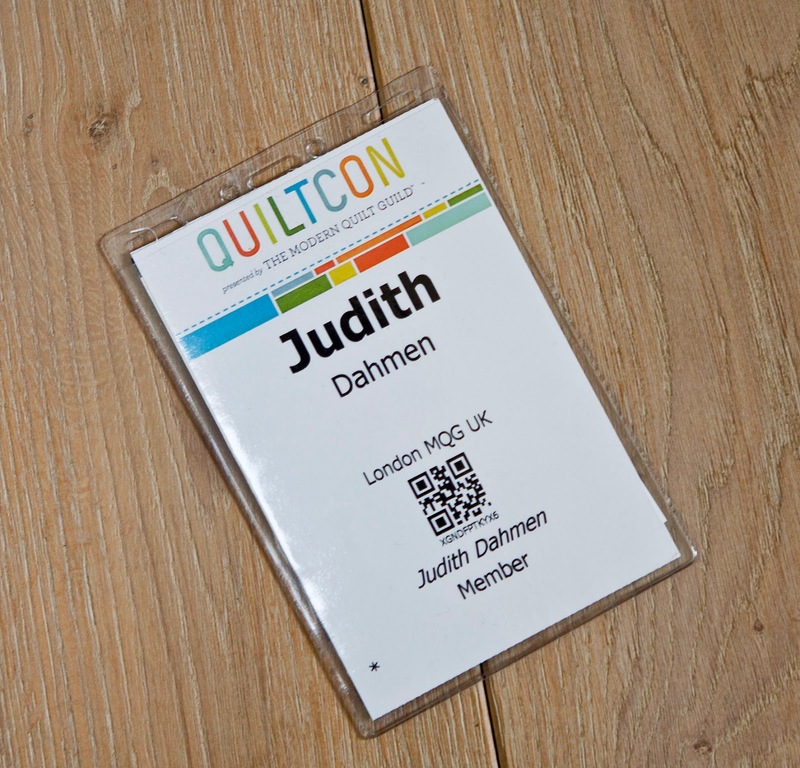 Have any of you been to Quiltcon and if not, reading this are you intersted to go ? I enjoyed going to the lectures as well.....I agree, Jacquies's was really good. So wonderful to meet you, I enjoyed spending some time with you. thanks. so happy you came away with something from my lecture. sounds like you had a good experience. that makes me really happy!